There are many books available to compliment your understanding and practical application of Belbin Team Roles. 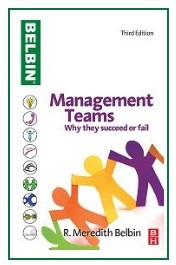 The most iconic is Meredith Belbin’s first publication, Management Teams, now available in its 3rd edition. The latest book to be published by Belbin is The Belbin Guide to Succeeding at Work – a great title full of advice for making it up the career ladder. Management Teams – Why They Succeed or Fail provides an informative introduction to Team Role theory. It is one of the most widely-read, imaginative and influential books on this vital area of management research and was cited by the Financial Times as one of the top fifty business books of all time. 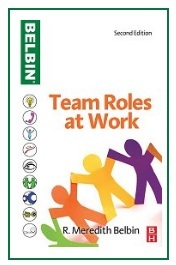 Team Roles at Work provides a practical guide to Belbin Team Roles. Find out how to apply the nine Belbin Team Roles in a real-life setting. Operational strategies provide ideas, techniques and a new range of information and advice which can be used to the advantage of the organisation. The Belbin Guide to Succeeding at Work provides a clear, concise introduction to Belbin Team Roles and then going on to apply the roles in a variety of practical situations. An ideal read for anyone starting out in the world of work or a new job, or for those entering into management. Meredith Belbin has written other titles that address the problems faced in today’s organisations.